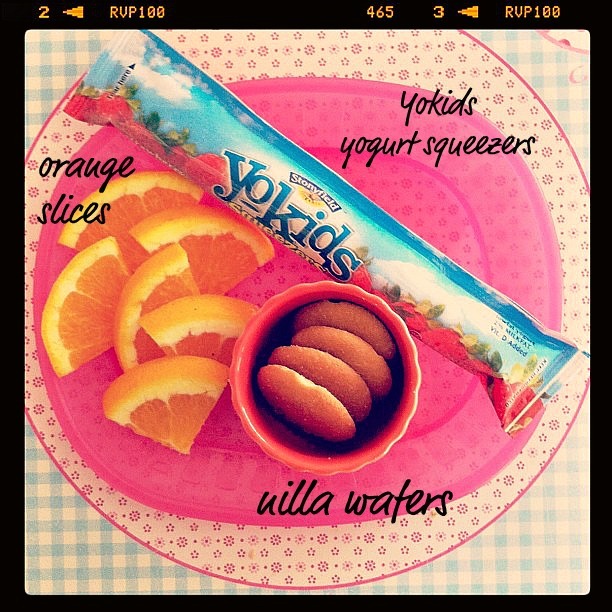 Welcome to the new Weekly Bite feature Five Day’s of Kiddie Snacks. I came up with this idea mainly to prevent myself from falling into the goldfish rut. There are day’s when I get so busy and M’s hungry, so I grab a bowl, fill it with goldfish, and call it a day. I’m not sure how long this feature will last, but as long as I continue to come up with new snack ideas, I’ll post them. My goal with snacks is to incorporate all the fun food kid’s love, but balance them out with fruits, veggies, and low-fat protein options. Each post will include a shopping list to make planning a little easier. These are great! 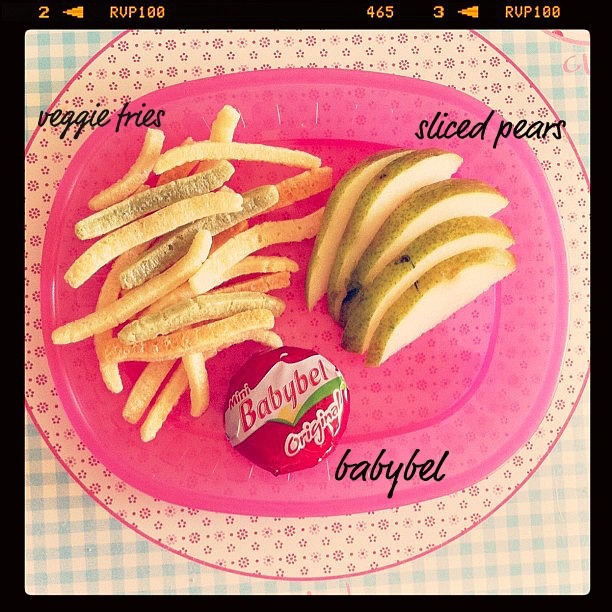 I have a snack plate out for my boys when they get in from school with very similar snacks. They look forward to it everyday. I know they are getting something super nutritious and there is no fighting over wanting this or that! Thanks, Estela! Love this idea! Gives me ideas for myself too. 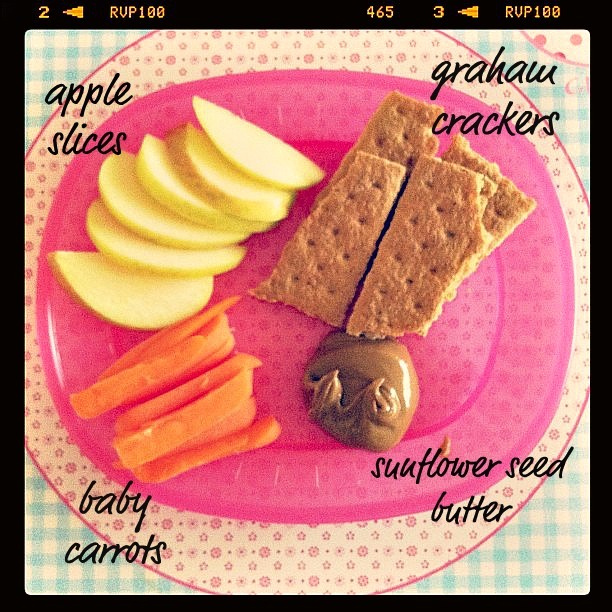 always fun to see what everyone feeds their kids and get a few snack ideas along the way! I love this! I am always looking for ideas to keep things from getting boring for the boys! This is great, Estela! Especially since I am so guilty of the Goldfish rut. Even worse now that Henry can reach both the bowls and the Goldfish. I’m pretty sure I could handle this every day for snack time if I had the produce cleaned and/or chopped up at the beginning of the week. I eat snacks like these! simple and plain. protein + carbs is what I was taught. My regulars are cheese and crackers or pretzels, Chobani kids cups with fruit or cereal, apples and peanut butter. i like her snack taste! 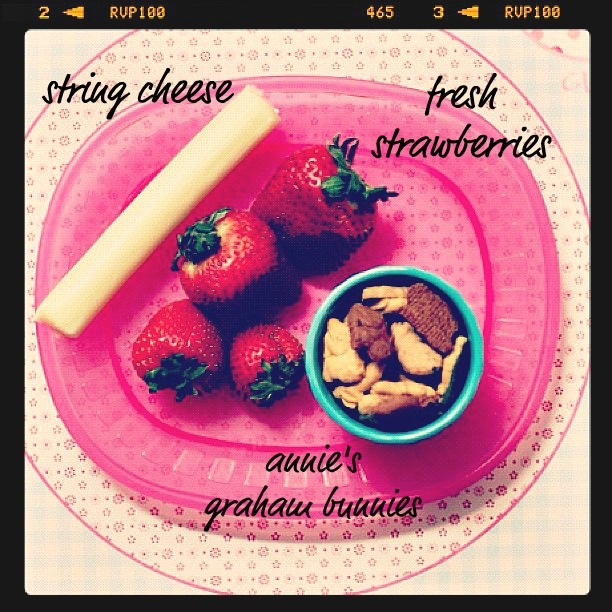 We’re really simple snackers around here and big on nuts, dried fruit, peanut butter crackers, apples or celery. 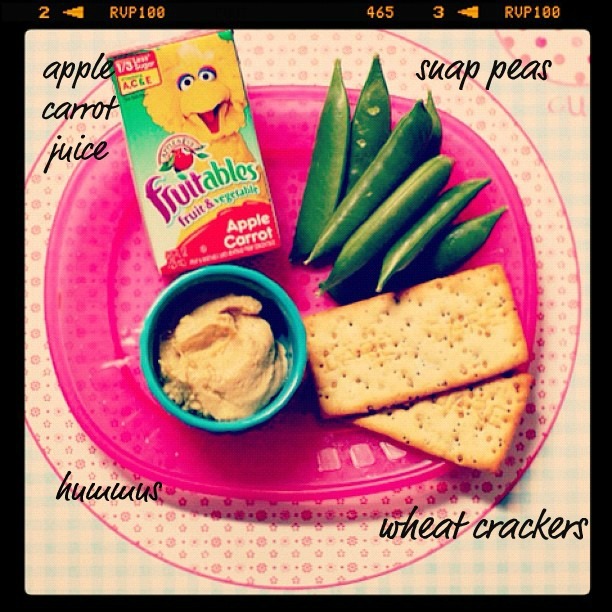 My son also loves pureed soup with crackers or Que Pasa chips to dip in it. My son is 2 1/2 and not a very adventurous eater, but what he will eat is all very healthy. When given an option of anything for lunch yesterday he chose potatoes with ketchup and carrots! Can you just deliver those snack plates to my door for me? !